There are many benefits to riding an electric scooter. From making it more convenient to get around the house to riding them in public at local parks, electric scooters simplify mobility and are great for people of all ages. 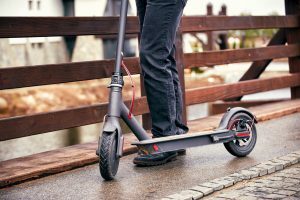 A major concern, however, of many parents is whether or not electric scooters can safely be used in the rain. Fortunately, we’ve completed an extensive amount of research and we’ve compiled a go-to guide for helping you understand the best answer to can you use electric scooters in the rain? Some electric scooters were designed and manufactured with no regard given to whether or not they were going to be used in the rain. Other brands of scooters, on the other hand, took this aspect of riding into mind during the design process. In an attempt to make the use of the scooters safe in the rain, they built the glider with a high waterproof rating. When riding on one of these, you can ride with ease knowing that in minimal amounts of water and rain, the scooter will still be safe and effective. It should be noted, however, that these scooters are not designed to be operated in water that is deeper than 2 cm. If you were to ride it in water deeper than 2 cm, the waterproofing elements may fail to function properly, thus causing permanent damage to the scooter and it could also lead to injury. The number one thing to keep in mind when riding a scooter in the rain is that any wet surfaces are going to be slick to ride on. Even if riding a scooter on grass that is wet, it can still be very dangerous. This is why regardless of the weather and the surface conditions, helmets should always be worn when riding an electric scooter. 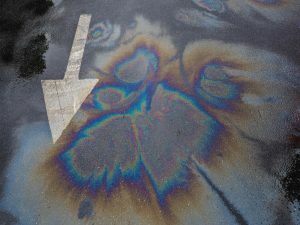 It’s also pertinent to keep in mind wet surfaces make it take longer to come to a full stop when braking. And if it happens to be raining hard, there’s a good chance visibility will be limited to both the person riding the scooter and drivers of any vehicles that are nearby. There are two main things to keep in mind when operating an electric scooter in the rain. First, you need to consider how the water is going to impact the scooter’s electronic components. If you ride on a scooter that does not have any type of waterproofing, there’s a very good chance the electrical components, particularly the glider, is going to become damaged. Still yet, if the scooter does have a waterproofing rating, it’s advised not to take it through any deep water. As mentioned before, any water puddles that are over 2 cm deep should be avoided. Many scooters that have high waterproofing ratings can handle jets of water, however, they do not continue to function properly in total water submersion. The other thing you need to think about when operating an electric scooter in the rain is its handling. As we talked about earlier, wet surfaces are going to reduce the handling of the scooter, making it harder to control and brake. 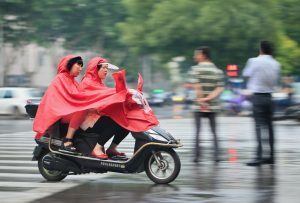 If you find yourself driving the scooter when it’s raining, you should use common sense to determine whether or not you should pull over and wait for the rain to pass. And not only do you want to do this for your own safety but also for the safety of others. Anytime you are riding your scooter on a roadway, you should wear reflective clothing, a helmet, and proper shoes, like tennis shoes. In addition to wearing the right type of clothing and protective gear, like a helmet, you should also make sure you signs to look for when riding in the rain. 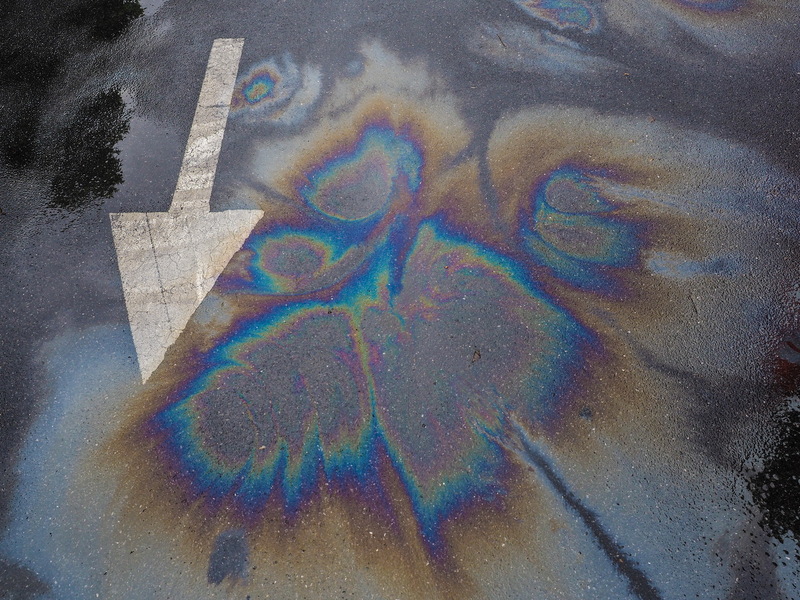 If you see rainbows forming in the road during or after riding in the rain, this means the water is mixing with oil on the road, and these spots are going to be incredibly slippery. You should do your best to avoid driving through them so that the scooter does not slip out from under you or cause you to slide off the road. It’s also a good idea to make sure you keep a close eye on your scooter’s tires. It is very common for tires to skid and slide on the road when it’s raining, so making sure they are in tip-top shape before you hit the roadway is an excellent way to enhance your safety. Another tip you will want to keep in mind is to minimize moisture as much as possible, meaning if you can avoid riding in the rain, you should do so. Moisture on any of the scooter’s components can lead to extreme wear and tear, meaning you will likely have to replace or repair parts more often than you will have to if you avoid riding the scooter in the rain. One of the best ways to minimize moisture is to cover the scooter when you’re not riding it. There are lots of retailers of scooter covers that offer water-resistant covers at an affordable price. When shopping for a cover, make sure to purchase and use one that has been manufactured using quality materials, like light and portable polyester. Even if your scooter is already wet, you can put a cover over it to help optimize the process of evaporating the water on it. As you can see, it is possible for you to ride a scooter in the rain. With proper preparation, careful attention to your surroundings, and a scooter with a high waterproofing rating, you can be well on your way to riding in the rain with peace of mind.